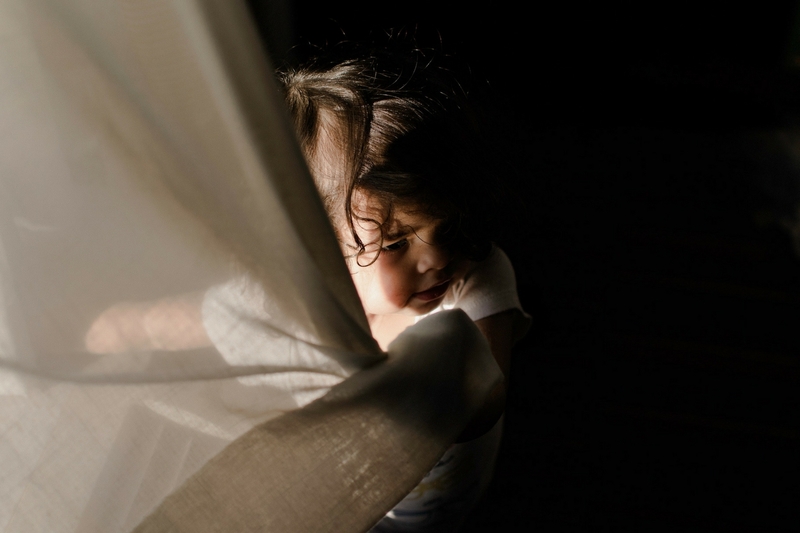 When you’re preparing for a new baby, expenses can add up fast. Trying to find items that you love and trust but that also fit within a certain budget can be tough. 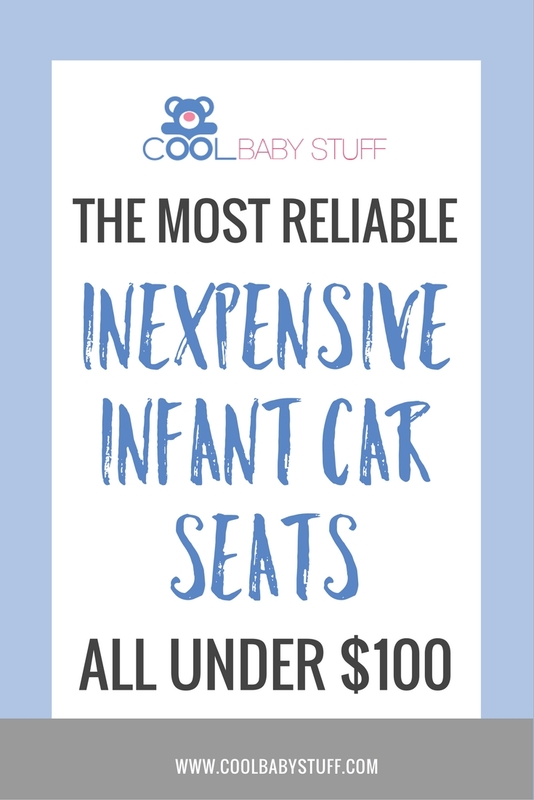 That’s why we’ve made it easy for you by rounding up this list of reliable inexpensive infant car seats that won’t break the bank! Check out these smart educational baby toys! The Cosco Light n Comfy DX is a lightweight option (8.9 pounds) that is ideal for preemies and smaller babies as the weight limit is on the lower side. There are 4 harness slots and 3 crotch slot positions, so it’s easy to find the right fit for your baby. The Graco Snugride Click Connect 30 car seat is also lightweight (7 pounds without the base), but it has a greater weight and height range while still having a long use-life. The nice thing about it is it can attach to any Graco Click Connect stroller, making it even easier to transport baby. The Urbini car seat is sleek and cool, and is designed to be lightweight, secure, and easy to get in and out of the car. The base has four different positions, making it adaptable to every vehicle. It has three crotch buckle and hip positions but some users complain of the straps being thin and prone to twisting. The Evenflo Embrace LX seat is a little bigger than the other options on this list, but is very safe- all Evenflo car seats are tested at energy levels two times the federal crash test standard. It does require a little bit of distance from the vehicle seat (1.5 inches), so may not work in all cars. Remember that any car seat on the market has been tested and approved so is safe, even inexpensive infant car seats. Often times you pay more money for better known brand names, so a cheaper lesser known seat does not necessarily mean it’s a worse option. You should always buy new car seats when you can. If you need to buy used or borrow from a friend, make sure to do so from someone you know and whose car history you can trust. Any car seat that’s been involved in a car accident should never be used again — the same goes for expired seats. You can also frequently bring in old seats to drives at stores like Toys R’ Us and receive a small discount on the purchase of a new car seat. For tips on seats and to find the answer to virtually any question about car seat safety, visit csftl.org. 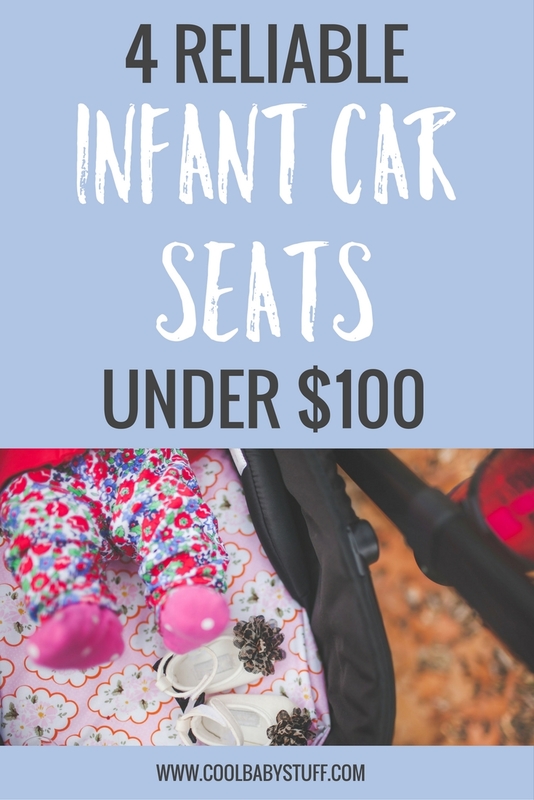 Do you have one of these inexpensive infant car seats? Let us know your favorite one in the comments!